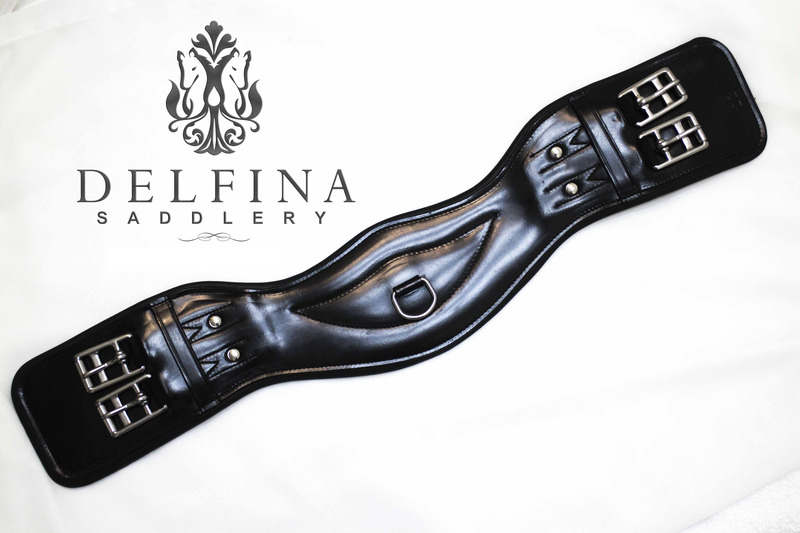 Please Select...18" 20" 22" 24" 26" 28" 30" 32"
Delfina Anatomical Contour Dressage Girth! High quality soft padded black leather with elastic at both ends (hidden under leather) and stainless steel roller buckles. 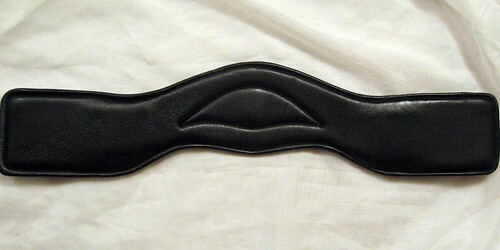 The shape is great for preventing girth galls and keeping the saddle from sliding forward. 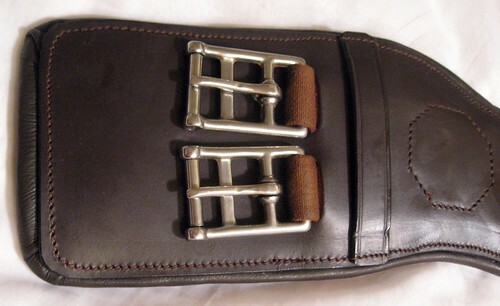 The same design as much more expensive girths at a great price!